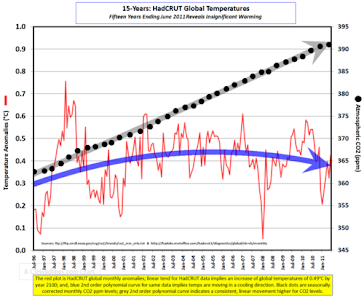 It seems that if we go to the centre of Australia and check the rural record of Alice Springs Warwick Hughes finds that absolutely no long term warming has occurred and though 2009 was hot it was not terribly unusual. 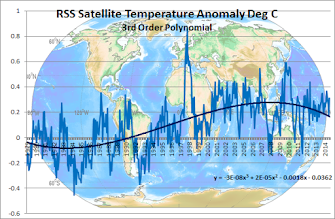 This is typical of "unadjusted " rural temperature data around the world. At least they are consistent. Manipulating data to make it agree with a pre-determined hypotheses has become an artform in the world of meteorology these days and of course, thanks to vigilant people like Warwick Hughes, we now know how it is done. To create a convincing data set, only include data from measurement sites conveniently located where the urban heat island effect is rampant and voila! We have instant global warming. I think I will await publication of satellite data before forming my own conclusions.